1) Tell a story. Andrew narrates his video informing viewers that he’s visited ten countries in the past two months. He doesn’t just say this, but also shows it with action-packed footage of him in various countries. From the beginning of the video, it’s clear who Andrew is: he’s driven, ambitious, adventurous and cultured. Based on my experience interviewing numerous travelers as they use DMO websites, the most successful sites are the ones that tell the story of who they are. For example, take FortWorth.com. 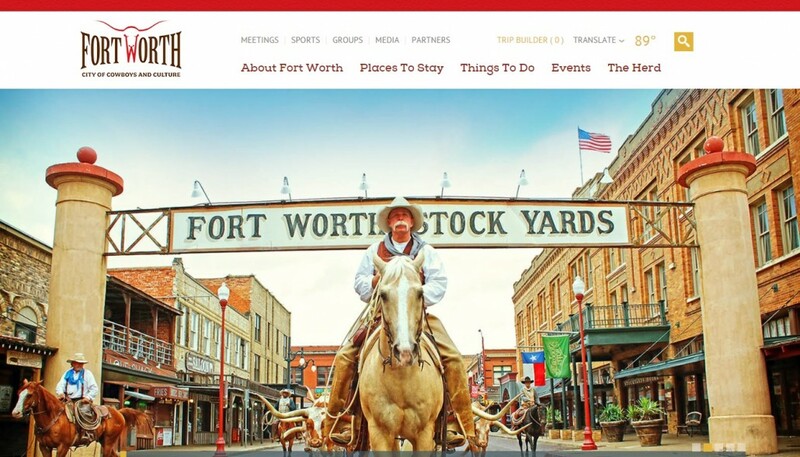 From the homepage and throughout the website, Fort Worth presents itself as the “City of Cowboys and Culture.” While there is text on the site that describes Fort Worth as a destination where you can experience the American West, as well as cultural treasures, it’s the visually appealing images across the site that convey the message. Images of Longhorns and cowboys, museums, and Downtown tell website visitors exactly who Fort Worth is. 2) Cater to your audience. Critical qualifications for applying to be Chief Funster are having fun and the desire to travel. Andrew specifically compiled images of him having fun while traveling, showing the selection committee that he understands exactly what they’re looking for and why he should be hired. Like Andrew who catered to the selection committee, successful DMO websites cater to its audience, whether it is non-locals who are intrigued by unique attractions, scenic beauty, shopping, music festivals, etc., or all of the above. This is something that constantly comes up in our website usability studies, and I certainly know is a key factor in keeping website users on a site. ZionNationalPark.com does a great job of this. Website visitors to this site likely aren’t interested in an urban vacation consisting of fine dining, arts & culture or shopping. Those who come to the site want to be in nature, hike, and soak up Zion’s spectacular scenery – exactly what is depicted in the images on ZionNationalPark.com. 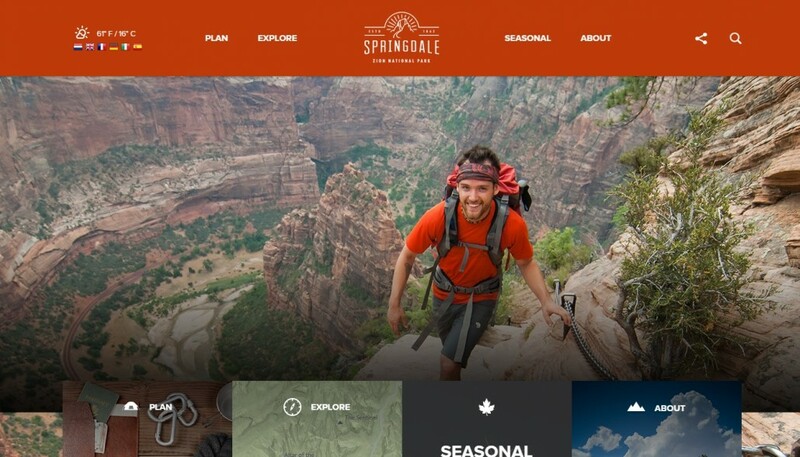 Furthermore, the website includes the option to view it in one of several languages, demonstrating that ZionNationalPark.com is serving its international audience. 3) Differentiate. As previously mentioned, Andrew states and shows that he has traveled to ten countries in only two months. This is a very unique fact about Andrew, one that other applicants likely could not claim nor portray in their submission video, thus differentiating him from everyone else. 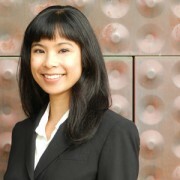 Likewise, DMO websites that truly captivate site visitors are ones that exhibit what is unique about the destination. I observe this in our website usability studies all the time. Website visitors want to know what they can do in the destination that they can’t do anywhere else. 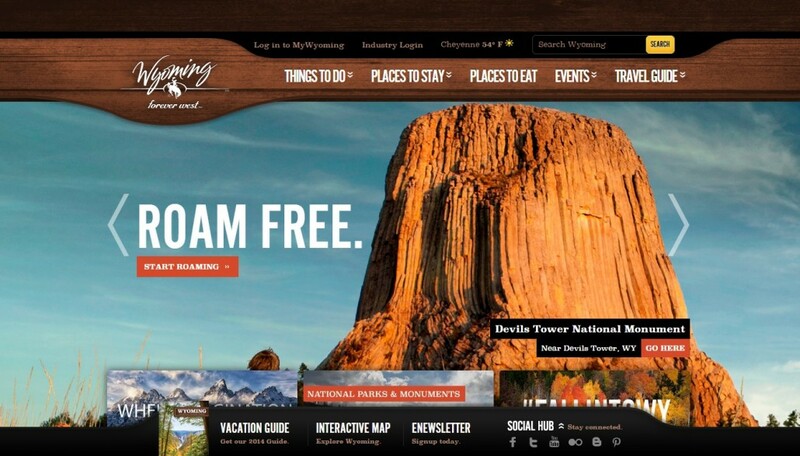 Upon arriving at the homepage of WyomingTourism.org, website visitors are immediately informed that they can experience Old Faithful Geyser in Yellowstone National Park, see Devil’s Tower National Monument, and visit Grand Teton National Park, all of which are offerings unique to the state of Wyoming. Like Andrew Smith, a DMO website too, should tell a story, cater to its audience, and differentiate itself to attract and keep the attention of its website visitors.